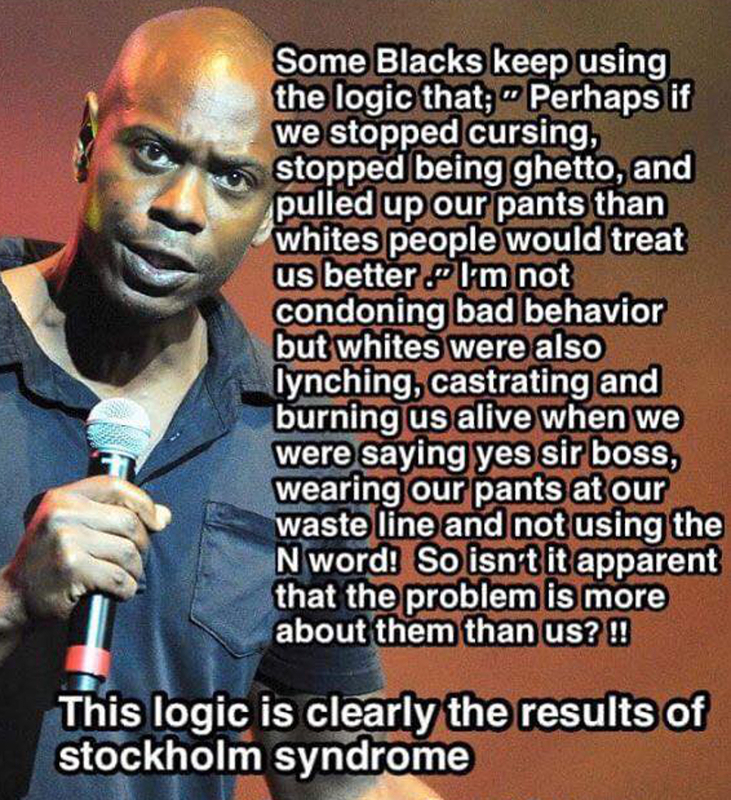 In America, do Blacks suffer from the Stockholm Syndrome? Previous articleNwanebuni Okafor’s Hand is the Extension of his Eye! Yes though white will always regard you as less than them but we need to do better for ourselves. Stop using this as an excuse to remain backward. Pull your pants up. No, its not more them because the ones who came before us didnt just say “Yes Sir..” they boycotted, studied, helped each other. Today, there is no WE. No community. How do you call for respect as a people who don’t identify themselves with any positive cohesion? The point is not to justify sagging pants, slang or the n word. The point is to get to the root of the problem, which is not current popular culture. The problem is dissolving subconscious ideals that have been systematically placed for centuries. If you think that the color of your skin makes you superior, you have a mental disorder. The election of the first Black President Barack Obama has caused white supremacist groups a major problem when they’re training their kids to be racist. I agree that racism is a mental condition requiring treatment. Actually, the color of our skin does make us somewhat superior, technically. OCA2-gene, look it up! It what gives man melanin. The lack of melanin, is a mutation in the gene. White skin is in fact a mutation. So if one considers a mutation “inferior”, then blacks “the original man, is superior! I believe that “racism” is being perpetuated by the “powers that be” to distract US (the oppressed majority) from seeing the corruption that is going on. The sad thing is that it works and the oppression continues. Racism will never end people! Racism is the result of pride, bigotry, hate, self-righteous evil, and equates to what the Bible describes as SIN! If sin is here to stay, so is racism. Talking about it promotes awareness. These idiots are so sheltered and oblivious to other people’s plights they think if we simply stop talking about racism, it will go away. I wish that worked for cancer, HIV, and drug addicts. 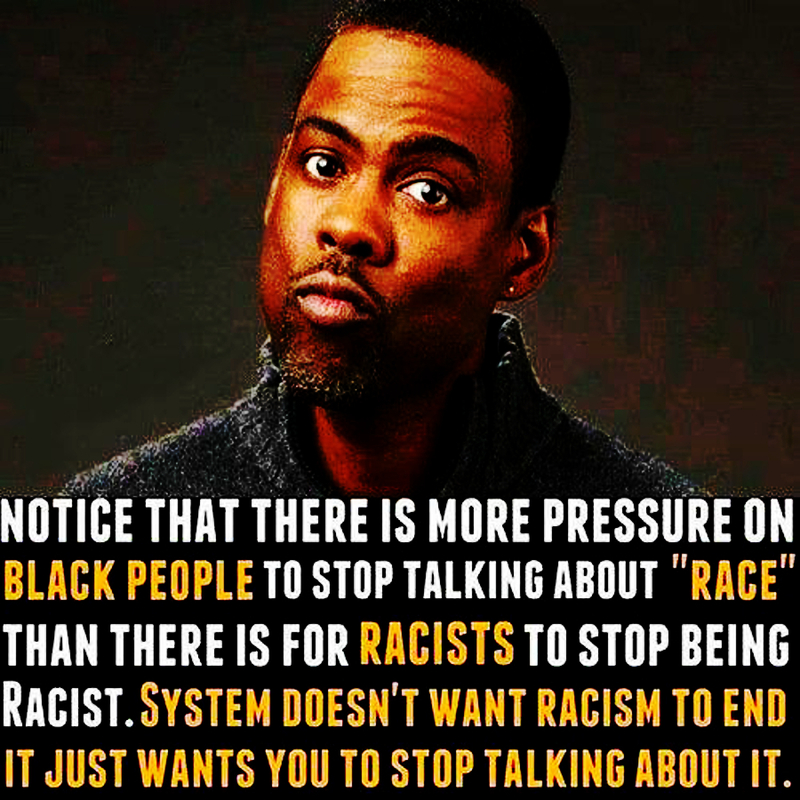 Yes,and if you dare to talk about racism, you are viewed as racist….even by some black people. Talk about brainwashing. African Americans such as myself 9.7/10, when we speak on racism, it has nothubg to do with what is seen on tv but its from real life experiences with racism. so when ppl say “stop letting the media push their agenda” it’s annoying. Who stole the cookie from the cookie jar, Look at it this way, whether you are nominated or not for an Oscar they all Black and White and Brown and a few Asian all still have one thing in common and that is they all are actors and actresses Had films made and if they met their budget and got a decent return on their investment and everybody got paid, then I say welcome to the class of 2016. Everyone can’t be the ” Valedictorian ” everyone didn’t graduate with the highest honors, or Captain of the Football team or Homecoming Queen, but still it doesn’t lower your worth for the rest of your life because you didn’t win the ” Prize or return with the Golden Fleece ” you excelled like everyone else, there have been years when even you did win, did you care about someone else who lost, as many do loose some never when the Oscar, but they also remained as a seasoned actor regardless of an award, better to be a working actor than never to be called by an director for a part, being an actor is a job a lively hood who ever said life was fair anyway, some sports teams never win a champion, then one year they just might, acting is the same way plus there is so much competition, newer and better people younger prettier, muscle guys, you name it, don’t rest on your laurels, just keep working.